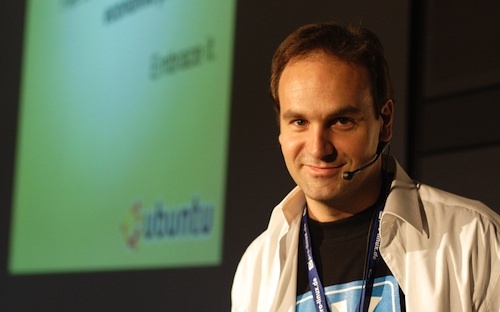 TechCentral editor Duncan McLeod caught up with Mark Shuttleworth, the man behind Ubuntu Linux, on Thursday and asked him about the future of Linux, patent battles in the software industry, his views on Apple and his future plans. This is a slightly edited transcript of that interview. DM: Does there need to be reform of the global patents system? MS: Absolutely. I’ve long said that and motivated for that reform. The patents system was originally designed to encourage disclosure. It comes from an era, hundreds of years ago, when innovation was kept secret and kept inside family businesses for many generations. There was a recognition that if you could publish information, then other people might innovate on top of the original idea. Patents were essentially a trade for disclosure of an idea that created a good for society in exchange for a short-term monopoly. Two things have happened in modern times. Firstly, you can’t keep secrets anymore. These days, everything can be reverse engineered. Secondly, the definitions of protection have been expanded, so it’s not good for society. You’re not really gaining disclosure you would have got anyway, and in the process you’re helping sustain cartel-type behaviours in just about every industry, but especially in technology. DM: What has you fired up about Linux and open-source software at the moment? MS: First, cloud computing and the way it is flattening enterprise infrastructure and the way people think about architecture. The other thing that’s really interesting is all the innovation around mobile computing. Linux in the form of Android is very much present here. DM: Ubuntu has adopted a new user interface called Unity. That seems well suited to tablet devices. Is this part of a plan to extend Ubuntu on tablets and other mobile computing and touch-based platforms? MS: We haven’t said that, and it’s not the right time for me to say any such thing. [Laughs.] But if you look at it, Unity is born of an era where touch is important, and we’ve done quite a bit of work around touch generally and it brings a level of clarity and device-like simplicity to Linux desktops that just hadn’t been there before. DM: Unity has attracted a fair share of criticism. MS: Sure, it created something of a storm. The idea for us was we wanted to bring design-led engineering to the Linux desktop so we followed a fairly rigorous process of design. That meant testing assumptions and evaluating each little change on the basis of some realistic test of how people reacted to change. It is a fairly radical shift from where we were previously but we can see a fairly clear roadmap of where we want to get to over the next few months and years and not all of that is evident in the release so far. [Unity] has raised the bar for usability on the Linux desktop. That’s not to say it’s without its issues. There are some quite definite issues in that first release, but when we did a detailed review of that versus the alternatives, it came out well ahead. It was the right one for us to ship at the time. DM: Where is Ubuntu going in terms of the user interface? MS: Unity is our platform now and we will iterate around what you see now. I won’t speculate now about which sectors we’ll get into and when we’ll do them, but it’s quite clear personal computing is no longer bound to the desktop and so we have to respond to that. If we want to bring Linux to everyday computing, we have to be where everyday computing is happening. DM: Is there demand for Ubuntu on other computing form factors, given how popular Android has become? MS: Only time will tell. Android is a fantastic offering. It has a genuinely open-source code base. Of course, it’s development is tightly controlled by Google, but it is open source so people can take it off in different directions and they do just that. So, I think it’s a huge victory for those of us who have been of the view that open source was the right platform for innovation. Open source flattens a lot of those walls that companies create around themselves and it creates a level of competition that is in the true spirit of innovation rather than the old-fashioned patents approach. For those of us passionate about getting open source in people’s hands, Android is a tremendous leap forward. At the same time, there is a good deal of concern about the amount of information Google has access to in terms of people’s personal data and Android greatly expands that. Competition is good, so I think there may be opportunities for other players in that segment. DM: I don’t want to push you too much on this, but are you actively developing software for new platforms like tablets or has that decision not been made yet? MS: We’ve made no comment on that. There are a number of people who are using Ubuntu to make tablets and other device experiences, but that’s some step removed from a formal Ubuntu version for those form factors. Right now, our focus is on polishing the desktop experience. We think that for all the excitement around tablets, most people will continue to use keyboards for real, productive work. We need a keyboard-based experience that really rocks. People who go rushing into the tablet business are going to lose money. There are few experiences out there that can compete with the iPad. DM: Speaking of Apple, the company can seem to do no wrong at the moment. Its market capitalisation has just gone past Exxon Mobil’s. What are your views of the company? MS: I’m short Apple. It’s an extraordinary success story, but nobody defies gravity indefinitely. I think this is probably the time Apple will be of its greatest influence. It’s in everyone’s crosshairs now. Its cash position makes it incredibly potent, and it has established itself in some really important ecosystems. How long Apple can play that out is difficult to tell? DM: Is Apple the new Microsoft? In the 1990s, Microsoft was almost untouchable. MS: Microsoft was untouchable and unloved. It was popular to hate Microsoft’s products for 15 years before the company suddenly looked vulnerable. I don’t think we’re there yet with Apple by any means. People do like the company’s products, and with good reason. DM: How is the Linux business model working for Canonical, the company behind Ubuntu Linux? Does it make money yet? MS: Canonical still requires ongoing investment but the business model is improving. This is predicated on the fact that the Linux market has grown so much. Also, business models are moving on from the licensing approach. What makes Android so unpopular [among Google’s rivals]is that Google doesn’t sell it, it has other ways of monetising it. I feel pretty confident in those principles. How things will play out at Canonical is a different matter. Your crystal ball is probably as good as mine on that. Nevertheless, it’s where I devote my time. We’ve seen a fairly dramatic uptick in corporate adoption of Ubuntu on a paid basis, where they are buying services from Canonical to support deployments of 5, 10 or 50 thousand desktops and other devices. Though Ubuntu is free, companies see the value in engaging commercially with the company that makes it, essentially. On the cloud computing front, in terms of our positioning, Ubuntu is by far the most popular operating system on all of the public clouds, which puts us at the centre of all the innovation that is happening there. It’s also being used in all sorts of places where people are innovating on the client side as well. These things are all positive signs and they sustain my interest in the project. DM: Do you think the Linux and open-source community still has the passion it did a few years ago? MS: That’s an interesting one. In a sense, open source underpins all the innovation that is happening. It fully underpins cloud computing and underpins things like Android and even a lot of Apple, where [parts of]the core operating system and core of the browser are based on open source. Open source has accelerated innovation and change and dynamism in the industry. But it’s also true that in a world where people are using the Web more and more, they don’t have the same sense of the terms and conditions attached to the software itself, so licensing is becoming less and less relevant, whether its free licensing or non-free licensing. You don’t have a sense of a big divide between the two. Everyone has access to the Web, so there is a dynamic there. The traditional software portions of the open-source world must decide what role they want to play and what’s important and exciting for them. DM: Lastly, what are your future plans? MS: I maintain a strong interest in Africa. I am well invested in Africa, outside of SA. Once we’ve settled this global economic turmoil … people will think again about what the real engines of growth are … and this is the move from chaos to stability, and Africa is the prime candidate for that move. That captures a fair amount of my attention. For the rest, I just get old ungraciously and that’s about it.